Having long hair is truly a credible thing in the busy life of the modern times. It needs so much of care and maintenance that only a few show the dedication to keep their tresses long and flowing. But any effort spend on keeping your hair long is totally worth it as the longer your hair, the more are the ways to style it. One of the most favored hairstyle for any long-haired beauty is the braids. Braided Hairstyles for Long Hair can make its look so regal that no other hairstyle can possibly achieve. Besides, braids give the much-needed versatility to the style. You can jazz it up or dress it down by trying out the different types of braids. Also, a single type of braid can be modeled in so many fashionable ways. There is no particular dress code when it comes to flaunting braided hair-dos. It looks great with every outfit. The hairstyle is perfect for the ladies with wavy hair. Just take the strands of hair from both the sides and make a normal three strand braid. Pull the braid towards the back and pin it up. You can pull out the strands of the braid to make it look thicker than usual. The look is so easy to achieve but looks so pretty on women of all ages. The fun and flirty style will go with all dresses. The style only looks complicated but is not actually so. Begin with pulling back your hair into a ponytail. Take four strands and create a simple fishtail braid with the strands. Secure the end of the braid with a hair band. Now pull out and puff up the hair in front to give some volume to the look. It is one of those styles that will have people keep complimenting you. Apart from the really cute braid what gives more beauty to the look is the ombre hair color that has been sported. He ombre color spreads to the braid as well making it look even prettier than usual. Bring the three strands braid from both the sides and then make it into one long braid across the length of the hair and finally secure the ends with hair bands. The four strand braid is more complicated than other types of braids but the effort is totally worth it for how good it looks. 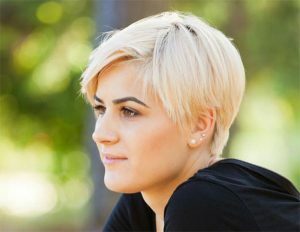 The other big plus of this particular hair-do is that it makes your hair looks thicker than it is. Start making the braid from one side of the head and continue it towards the back. After securing the end with hair band wrap a strand of hair around the band to hide it. Those that are blessed with naturally long and wavy hair are the ideal candidates to try out this style. Though you can always try curling up your hair using your hair curler. Now make a parting on the right side of the hair. Pick up some hair from the right side of the parting and start making a French braid and then continue as a three strand braid to get the look. 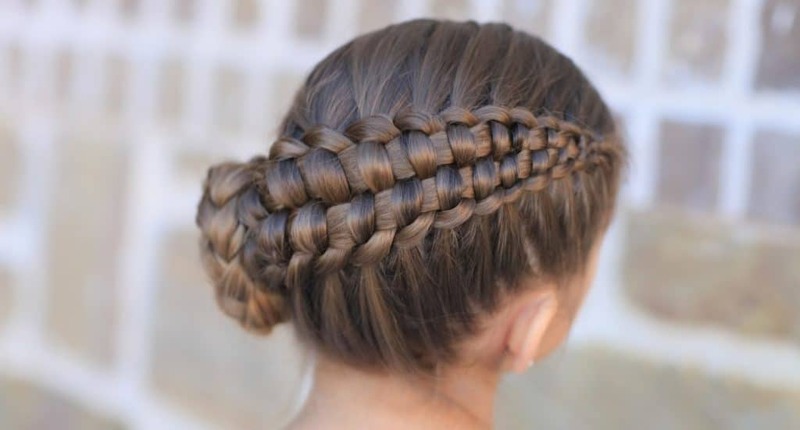 Give you’re long and wavy locks a nice crown using this braided hairstyle. Start with a three-strand braid from one side of the hair and pull it on the other side. Secure the braid with few bobby pins on the sides. Now take strands of hair and pull it through the braid. Leave the hair untied and flaunt the look. It only looks complex but is really easy to achieve. The hair looks like a cascading waterfall which has earned the hairstyle its name. Make a parting on any one side and pick up a section of hair from the heavy side of the parting. Divide the section into three parts. Cross the back strand over middle strand and then the front one over middle strand. Now cross the back strand over middle strand and bring a section of hair. Continue doing this and then secure the end with bobby pins. The lace braid is nothing but a semi-French braid. It is similar to the French braid and the only difference is that in this case the hair is added from one side of the hair only. For this hairstyle you need to make two lace braids and bring them diagonally from one side of the hair to the other side. Tie the ends of the braid with a hair band and wrap strands of hair around it. Your search for the perfect homecoming hairstyle ends right here with this one. The hair on the top portion of the braid is messed up completely, and then the rest of the hair is braided till the end. The long braid that you make also needs to be a bit on the messy side with the strands pulled to make it loose. This will go perfectly well with your homecoming dress. The fun and feminine look will catch your eye and have your heart with its prettiness. The front of the hair needs to be puffed up to give it some volume in the front. Pull all the hair to one side by brushing it well and removing any kind of kinks. Make a simple three-strand braid and put two hair bands around it- one in the middle and the other at the ends. The cornrows are one of those hairstyles that never goes out of fashion. This hairstyle is the ideal proof of that. Make cornrows on one side of the head and pull the cornrows all the way towards the back. Swipe the rest of the hair to one side of the shoulder and your ideal party look is ready. You are bound to get a lot of compliments for your sense of fashion. Pull the hair towards the back into a loose ponytail. While making the ponytail make sure you put a braid through the middle of the hair. The braid needs to be blended into the hair and pulled towards the back along with the rest of the hair. The hairband needs to get hidden using a thick strand of hair wrapped around it. Go for this look if you are looking for a cute braid hairstyle to go with both your tee shirts and shirts. The hair needs to be made into a tight French braid with loose strands of hair pulled through it. Then the rest of the hair must be rolled into a braided bun. The best part about this one is that it keep the hair away from the face. If you are not too well-versed with making braids then fret not as this style is simple enough for you to try out. The hair is brushed backwards and then made into an easy braid. The braid is rolled up to make a low bun. It will look great with your gorgeous evening dresses. Let a few strands of hair gently caress the face. The bed-head look has been quite in for a long time and you can create the perfect bed-head look with messy braids. Make a totally loose braid and mess up the rest of the hair completely. There needs to be no brushing of the hair for this one which makes it a super quick style to make when you are in a hurry. If you have perfected the four strand braid, try taking your style game a notch higher with the five strand braid. In this look, the five strand braid needs to be pulled from the front of the hair to the back. The final step to this wonderful style is the braided bun. Do not make the hair too tight for this one. Keep it breathable and loose. If the traditional cornrows feel boring for you, go for this modern spin on the hairstyle. Make two thick cornrows on any one side of the hair. Both of the cornrows must be brought together into one thick three-strand braid. Let the ends of the braid blend into the rest of the hair. It is one of the most glamorous braid looks that you can try out. The top knot is surely one of the most in hairstyles for the season. Get your own take on the top knot by this look. For this one, the top knot is completely made by braided hair. Begin by making a high ponytail. Tie either three strand braid or a fishtail braid all along the ponytail. Now twist and turn it to make the top knot. Your nice and neat hairstyle is ready. If you are at your wit’s end thinking about what new and unique hairstyle, you can try these eighteen Braided Hairstyles for Long Hair. Try out a different one each day of the week.